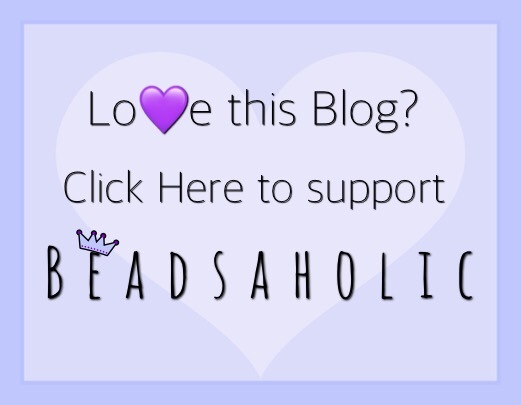 Today Beadsaholic brings a review of Spiritbeads Kokeshi’s Lantern! Previously Spiritbeads Kokeshi dolls have proven to be quite popular and I can see why as they are beautiful beads! Today Spiritbeads releases their seventh limited-edition Kokeshi! If you have the previously released beads, then this is truly a must have for your collection. If you do not have any of these beads, then this is a great place to start as it’s such a perfect bead for a Japanese themed composition. The first composition I wore the Kokeshi’s Lantern in is this beautiful bangle below with Trollbeads Pearls, Spiritbeads Lotus Flower, and Sakura. I really love this composition as she looks like she is lighting the way through her garden. Spiritbeads LE Kokeshi’s Lantern is the latest limited-edition Kokeshi to the spiritbeads line. This bead is similar in size and style to the Kokeshi’s Tea which makes it the perfect match. Kokeshi’s Lantern comes with a fresh water pearl, is limited to only one-thousand (1000) pieces and comes numbered with a certificate. This bead measures approximately 15 mm high x 8 mm wide and retails for €69, price includes vat. I love her stylish kimono, she has a cute bow in the back and on top of her head. She holds a lantern which is a fresh water pearl. I have included photos at each angle to show the detailing of this beautiful bead. I really love her on a bangle with the Spiritbeads Sakura and Lotus Flower! Here instead of pearls, I have added in some glass beads from Ogerbeads. Along with the couple of bangle styles I wanted to show her with some of the previously released Kokeshi and silvers from Spiritbeads. All glass beads are Ogerbeads and Lock and Chain by Trollbeads. I’m including photos at each angle of the bracelet, so that you can see the beads a bit better. All previously released Kokeshi’s are sold out. Kokeshi’s Lantern is available today whiles supplies last. Spiritbeads Tea House, Sakura and Lotus Flower are the perfect companion beads and are part of the regular collection. Over all, I truly love this Kokeshi! I enjoy mixing them with different glass to create the perfect Japanese garden. If you would like to order Kokeshi’s Lantern, then you may do so by clicking the banner link below. Please note, that Spiritbeads offers vat free shopping for those who reside outside of Europe. What are your thoughts of the latest Kokeshi? Do you have any of the previously released? Will you be ordering this one? I always enjoy hearing from you all, so leave me a comment below. 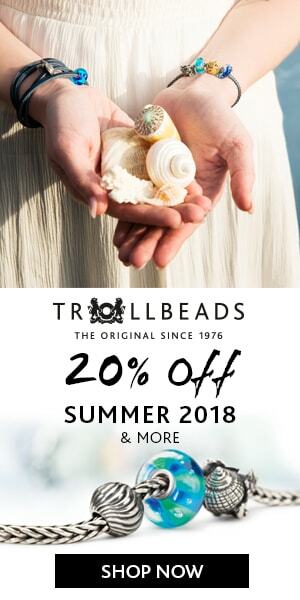 ← Ogerbeads 25% off Small Core Beads! I love the Kokeshi beads and have all of them except the first one. This new one is so cute with the pearl. I went to order the Sakura silver and it comes in 4mmand 4.5mm. Can you tell me what size you have one your bangle? I love the Sakura with the Kokeshi’s. The one I have is the 4.5 mm, that will fit all brands as it’s the universal core. I always admire the Kokeshi beads, though I haven’t got any…..yet! I’m really tempted with this one, the detail is beautiful and I love the way you’ve styled it in the different photos. Thank you, Jo. I think the pearl gives it such a feminine delicate touch. I think she would be lovely in a garden bracelet. If you have any of the Trollbeads Kimono Beads, they look fantastic with those as well.